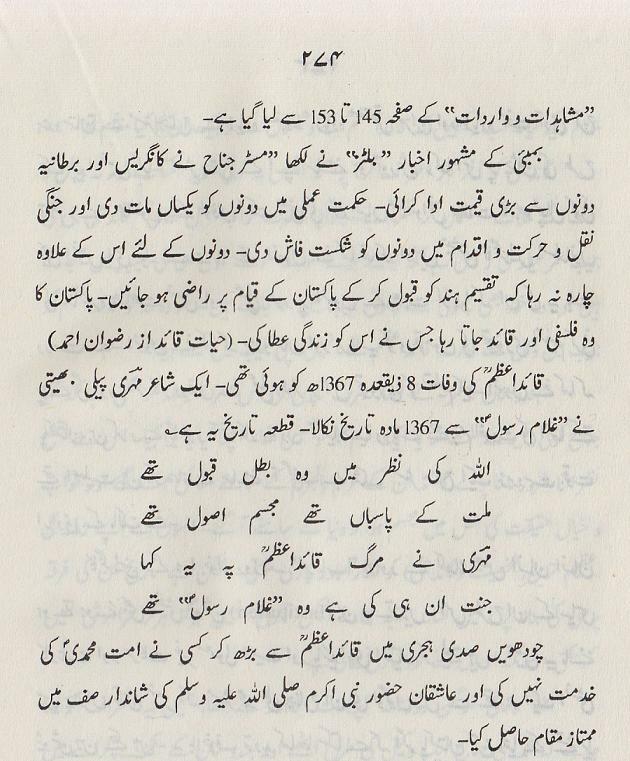 Some pages related to Quaid-e-Azam and his struggle for Pakistan from Book Seerat-Un-Nabi (S.A.W) Baad Az Wissal-Un-Nabi (S.A.W), Part 4 by Abdul Majeed Siddiqui Sahib. May Allah grant him Jannatul Firdaus. 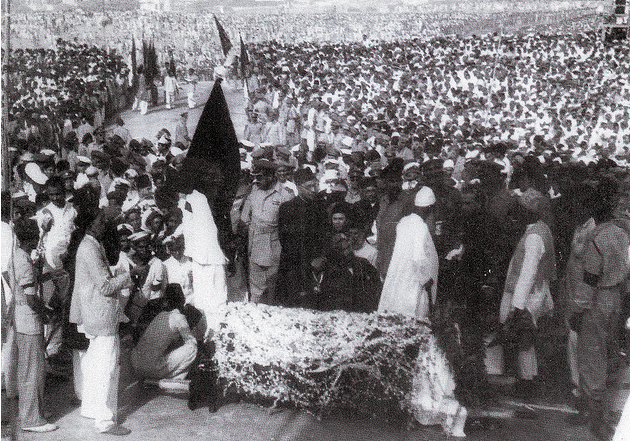 Jinnah did hard work to awaken the Muslims of India to a new consciousness but sadly we slept again after his death. meray khayal mein agar koi or qoum hoti to ab tak uth kahri hoti...I think we have some genetic defect...hum ya to aapas mein lar sktain hein ya hindus say...goray say nahin...must be a genetic defect...desi qoum mein. Ye baat/ma'amla hi kuch aesa hai k ye aane wale ki dua se tale (ٹلے)ga, iss ka koi aur solution nahin, solution to pichle 65 saal se aa rahe kya huwa un solutions ka? phir bhi aap practical / amalan solution yahan comments mein post karain InhsaAllah people will read it. Agar abhi tak aap ko andaza nahin huwa k halaat kyun kharab hain aur humain kya karna hai aur kya hone wala hai to Quran aur Ahadith to yehi kehti hain k ghaur o fikar karain Allah ki nishaniyan nazar aa jaeen gi. aur solution bhi. 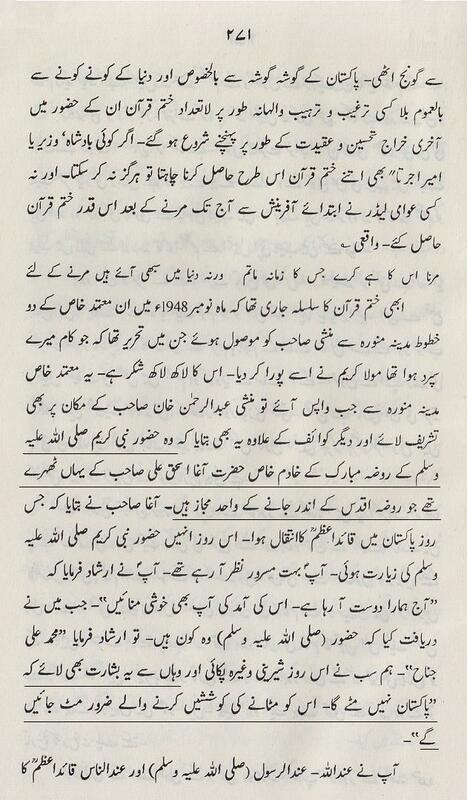 Dr. Israr Ahmed had also views during Musharraf regime that countdown for breakup of Pakistan has started. Before his death he changed his views after seeing restoration of judges. @"I think we have some genetic defect...hum ya to aapas mein lar sktain hein ya hindus say...goray say nahin...must be a genetic defect...desi qoum mein." It is a Dajjalic philosophy i.e Darwinism. According to this humans are evolved using Mutation (Genetic Defect) and different nations White/Black/Asian are formed. European have less genetic defects as compared to Asian and African.... This philosophy has brought us into inferiority complex. 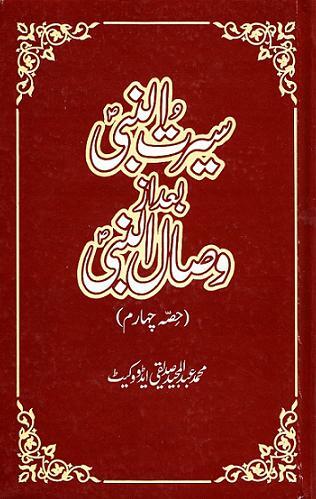 In response Allama Iqbal brought philosophy of Khudi (self respect). 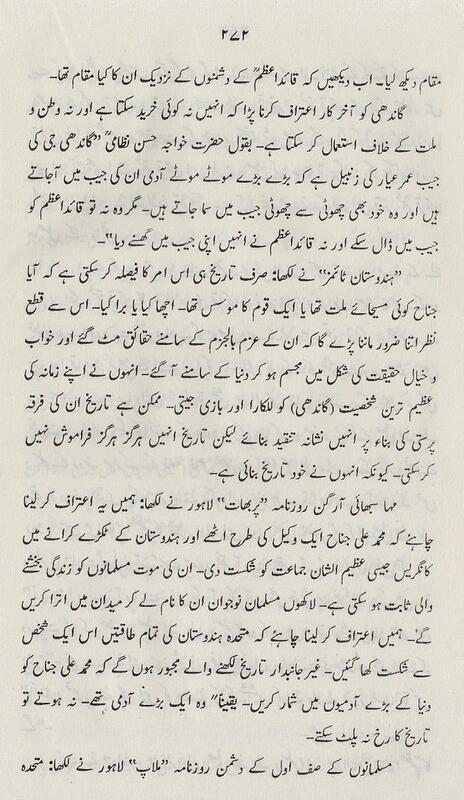 @"koi practical / amalan solution ki baat nahi karta "
Solution is present in Iqbal's philosophy of Khudi. Adnan Oktar: Darwin represents the system of antichrist. Our Prophet (saas) told us that atheism and irreligiousness will prevail, churches and synagogues will be lost, Allah will not be mentioned, there will be bloodshed like a flood and good people will be known as bad in the time of antichrist. He also informed us that the majority of people will not abide by the Qur’an and will not consider the Qur’an as a guiding book. Bhai Jan I know the concept of khudi but what I am saying that this very concept if adopted by the youth will bring change (phir nojawan gharon say bahar niklan gay) lakin mushkil yeh hay kay kon tehreek chalayay ga...? 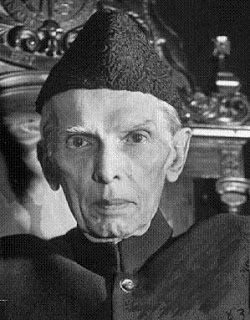 Tehreekain to bohat chaleen pichle 100 saal mein magar aik kaamyaab huwi Pakistan Movement, wo bhi iss liye un ka leader aik imandar banda tha yani Jis par ye post "Quaid-e-Azam"
Agar app ko koi "Quaid-e-Azam" mil jaye to beshak gharon se bahar nikl ayen. 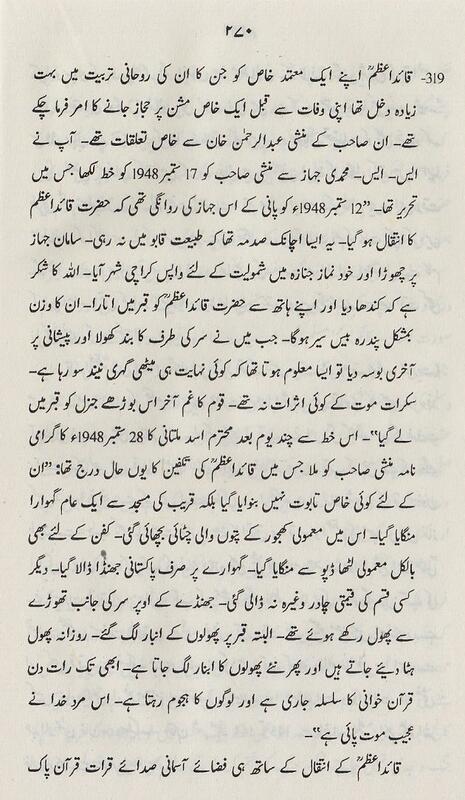 Mujhe to koi nazar nahin ata aur dosra har revolution ka time hota hai, abhi pichi post mein Prof. Ahmad Rafique Akhtar ne revolution time ka bataya tha. 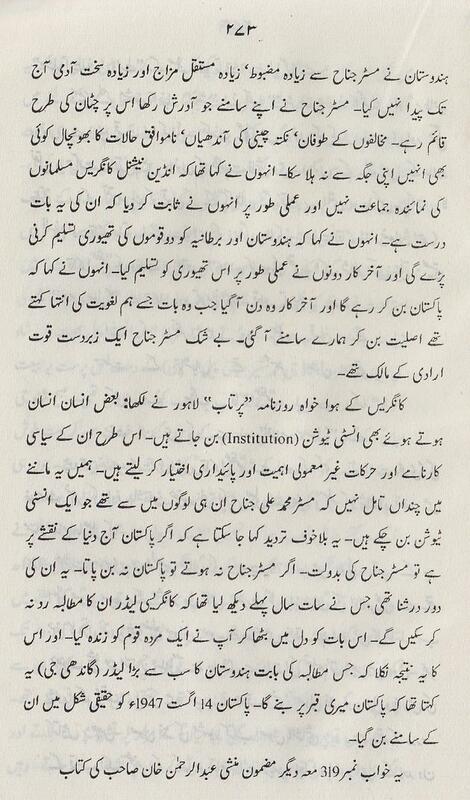 Dr Israr said that we should join any tehreek who is working for global dominance of Islam. We should follow Surah Asr. As Allah didn't give success to any tehreek till now so we should leave the results to Allah's will. Our duty is only to do work. You can join any thareek like Tanzeem, Jamat-e-Islami, Hizb-e-Tahreer, Harun Yahya, Sheikh Imran Hosain, Tahir-ul-Qadri who is working peacefully. Insha'Allah all tehreeks will be merged when Imam Mahdi will appear. What do you mean by the backbone of Yajooj majooj and what do you think about up coming war of PAKISTAN some mention the year 2013. What are your views? Backbone of Yajooj Majooj is their nuclear weapons. "...The Muslims will then burn the bows and arrows of the Ya'jooj and Ma'jooj for a period of seven years... (Muslim)"
salam faqr bhai. this post and that of yesterday both mentioned a person who did spiritual training of JINNAH sab and who was sent to 'HAJJAZ' by JINNAH sab. but his identity has not been disclosed in both posts - no mention of his name or other details. can u help??? yes his name was not found, still in search. 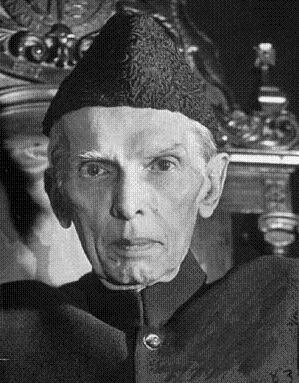 Pehli baat ye k app kisi ko Imam Mehdi na kahain, kyun k Imam Mehdi kabhi khud claim nahin karain ge k wo Imam Mehdi hain. Fake Imam Mehdi se hoshyar rahain. so Pls don't write Imam Mehdi with any one's name. 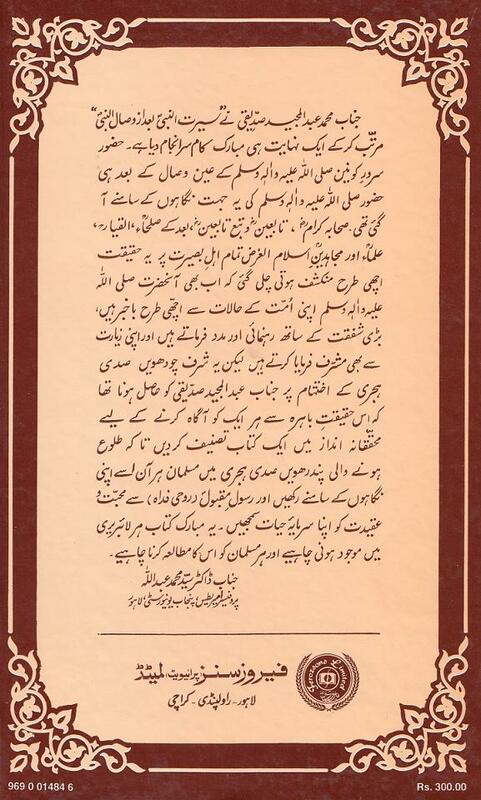 Mere nazdeek jo shakhs Ghazwa-e-Hind ki hadees ko pura, aur Alam-e-Islam ko Muttahid kare ga wo Imam Mehdi ho ga. (iss ke ilawa aur bhi bohat si batain hain) abhi tak kisi ne ye kaam nahin kiye so iss waqt Imam Medhi ka title kisi ko nahin de sakte. Karachi ka haalaat waqayi kharab hain, magar jaise Prof. Ahmad Rafique Akhtar ne kaha k InshAllah halaat theek ho jaeen ge. Guess who is this person ? 4. Name included in University's Hall of Fame. 5. Suffered severely in starting of his career. 6. Married a non-muslim girl. 7. Marriage failed, wife went to London. 8. Children custody to mother. 9. Failure in start of his political career. 10. Won only 1 seat after a decade of struggle. 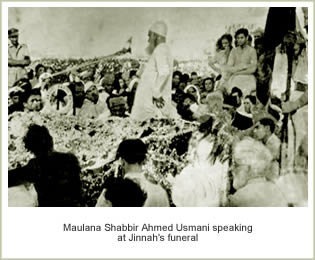 a.Quaid married a girl who converted to Islam. c.wife did not left and went to England, she actually died due to illness and it is reported that was the only time someone saw Quied crying. OK, Imam Mehdi wo banda ho ga jis ki badolat dunya mein dobara Islam ka bol bala ho ga aur adal o insaaf ho ga. abhi tak aesa banda nahin aya koi. Your above reference (i.e. Prof. Ahmad Rafique Akhtar ne kaha k InshAllah halaat theek ho jaeen ge.) comes as a pleasant news because present situation continues to go from bad to worse. Please see if you can give link to this lecture in case it is available on internet, for benefit of your regular readers. I agree with your explanation but I'll say a man doesn't create his self. Allah already created it before creation of Adam (a.s). We have to only discover, realize and rise it. If we see above poetry deeply then we'll know Allah have created our Khudi before writing our fate (Taqder) in book (Loah-e-Qalm). Our fate has written before creation of this world. So our Khudi is also created before creation of the world. We have sent to this word to discover and rise our Khudi. ON EARTH AND IN YOURSELVES, THERE ARE SIGNS FOR FIRM BELIEVERS. CAN YOU NOT SEE? Kafir (Atheist) and Mushrik (Polytheist) have not even self respect because man’s self respect is eternally guarded when Allah ordered him to bow and prostrate in front of no one but Him. Meri pakistan ke awam se purzor appeal hai ke agar aap apni aur apnay humwatan bhayon ke falah aur kamyabi chahtay hain to khuda ke liay election mai in zaleel secular(ladeen) partyon ko vote na dain,jin mai se kuch ke naam ye hain PPP,MQM,ANP,qaf leage etc.kyonke aap ke vote se ye bey deen over be zameer log hukumat mai aa kar jo jurm ya corruption aur be insafi kartay hain to in jaraim mai vote denay wala bilwasta shareek hota hai.aur in logon ke kartoton ke waja se 17000000 awam ka jeena mahaal hota hai.Mai ye dawa nahi karta ke in secular partyon ke ilawa jo bari partyan jese Muslim Leage nawaz,jumat e islami, tehreek e insaaf ye jui etc hei wo bilkul sahih hain nahi balke ye log secular partuyon se kisi darja behtar hain kyonke in ke parti ke manshoor mai to kam is kam islamic aur nazaryati osol par karband hona shamil hota hai. Published, Sometimes comments appear after delay, its by default, not my error. whare is admin of this blog?? brother jis bnday ny hazaroon masoom logon ka khoon kya hy aur jis ki waja sy dunya main suicide attacks ho rhy hein aur masoom logon ka nuqsaan ho rha hy usy k naam k sath "shaheed" aur "R.A." likh kr in muqadass names ki toheen mat kro. Sheikh Osama is a hero of islam.He give up his prince like lifestyle for the cause of islam i.e liberation of muslim lands and sacrifice his life in the path of Allah(jihad).He and his organization targeted terrorist Americans for their occupation of muslim lands i.e Hijaz,Afghanistan,Iraq etc. Osama bin laden sirf aur airf CIA aur MOSSAD ka puppet tha jisay use kr k unho ny muslims ko bewqoof bnaya hy.